The traveller site would be the second in the region, joining Aikey Brae, pictured. 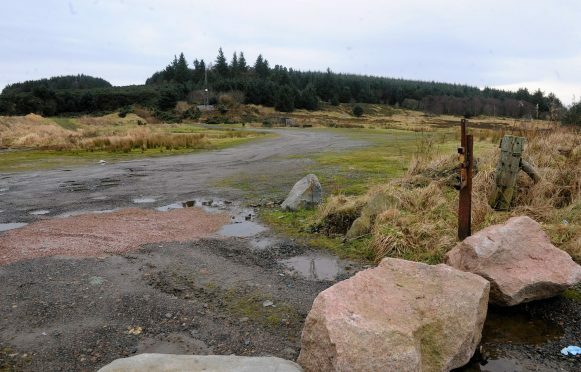 A traveller camp on the outskirts of a north-east community has been backed by Aberdeenshire Council’s planners despite public outcry. More than 250 people signed a petition to block the redevelopment of Boyndie’s former council depot into a 15-pitch stopover site in the summer. But planners will next week urge members of the Banff and Buchan area committee to push on with the project. Planning permission is being sought by Banff architecture firm Mantell Ritchie on behalf of Boyndie Depot Developments. Agent Michael Ritchie has declined to comment on the future of the proposal, but more than 40 people have lodged official objections with the council. Complaints range from safety concerns for people living within the site, which is adjacent to a busy country road, and the impact it may have on the local amenity and tourism. One resident who lives nearby to the proposed camp branded the road a “nightmare”. And Lynne Bevilacqua, who started the petition to block the camp, said approval could potentially put children’s lives at risk. “There have been many motoring fatalities on t his stretch of road and many more accidents,” she wrote in her letter of objection. The local community council has also objected to the scheme. The group, which said its stance was reflecting the strength of feeling in the area, said objecting to any development is a “very rare event”. Council planners have recommended approval of the site because of the need and demand for such stopover areas in Aberdeenshire. The site at Boyndie would become just the second stopover site in the region. A similarly controversial plan to create one near New Deer at Aikey Brae was approved earlier this year.